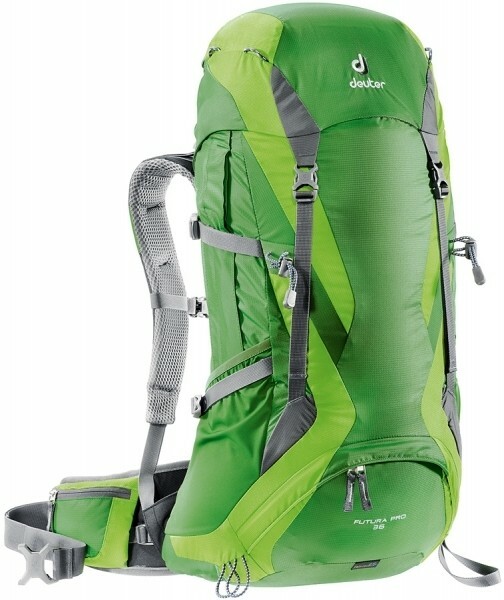 The unique Deuter aircomfort Pro back system includes many features that offer a high wearing comfort. The anatomically shaped hip fins are made with soft padding. The slight round spring steel frame profiles is characterized by its flexible construction method. Side compression straps were attached to the hip belt to stabilize. The necessary ventilation the spinal network through which the hot air dissipates freely from three sides ensures. The Stabiliser straps allow exact positioning of the rucksack.